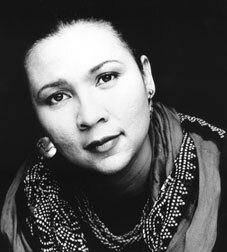 bell hooks (March 28) is amazing because she makes me question everything. Especially my favorite things, like calling myself a feminist (She prefers, for worthy and complex reasons, the phrase, "I advocate feminism"). So smart. Such a beautiful writer. In addition to attacking racially- and gender- and class-based oppression, hooks has also written broadly on subjects such as love and art theory and criticism. Neat, right? She's so entirely worth reading. She takes the academia out of theory like nobody's business. By which I mean she is damn smart and can talk to anybody. Anybody can read her writing and think about her ideas. She's criticized academic feminism as self-defeating. Oh! And she also published a book whose title I quote regularly: Feminism is for everybody.